As the most recognisable face in football, Cristiano Ronaldo is used to pleas from fans to pose for photographs. However, the Real Madrid star received an unusual request after his side’s 3-1 Champions League win over Napoli on Tuesday. Normally the scourge of opposition supporters, the Ballon D’Or holder was cornered by three young boys, all decked out in Napoli home strips. 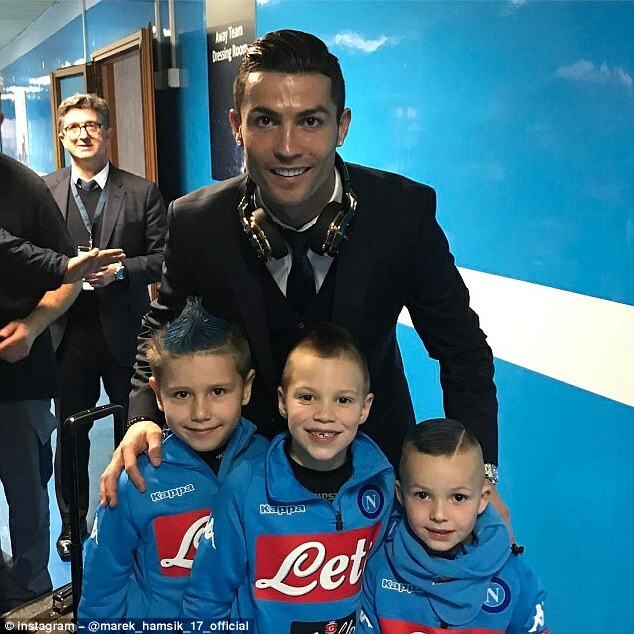 Even more surprising was the fact that the group of boys, if their distinctive hairstyles weren’t already a giveaway, were the sons of the Serie A side’s star player Marek Hamsik. The Slovakia international though, made had no qualms with his kids posing with Ronaldo, and explained all in his Instagram post. They weren’t the only kids’ night Ronaldo made, as he also took time before kick-off to sign the boot of one of the ball boys at the Stadio San Paolo. While he is striking a chord with supporters off the field, the striker is struggling to find the target on the field, especially in Europe. 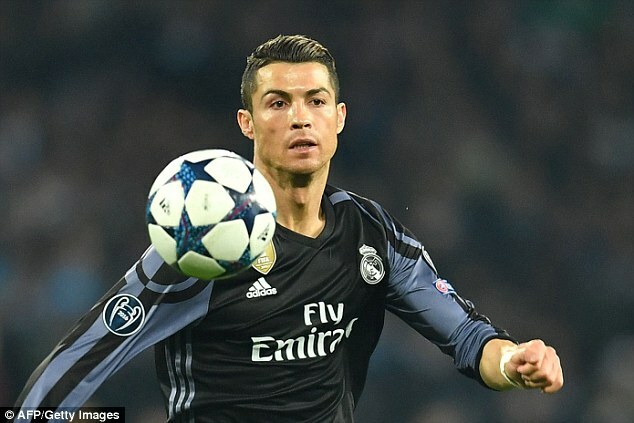 Ronaldo is currently on his longest European goal drought having failed to find the net in 613 Champions League minutes. However, his contribution to Real Madrid’s attack on the continent is no less important, with the striker laying on six goals in his last nine outings, including Alvaro Morata’s stoppage time goal on Tuesday night.